1 Do you want to make miter table saw for own creativity? Do you want to make miter table saw for own creativity? Woodworkers love to create different new projects from their strong passion for doing those. Various kinds of DIY works are done by woodworkers. They use different types of tools and machines for creating a new wood project. Miter saw table is one of the accessories that are used to make your work easy. You can buy an adjustable miter saw stand but this is expensive. As you are a woodworker then why should you buy a thing that you can create on your own? A miter saw is useful for cutting the wood for a long length. To cut long, your regular table saw will not allow you to do so as it does not come with such length. But as a woodworker, you know how important is to cut long! So you can own miter table saw plan to create. The accessory also supports long boards and with that, it also provides a fence. 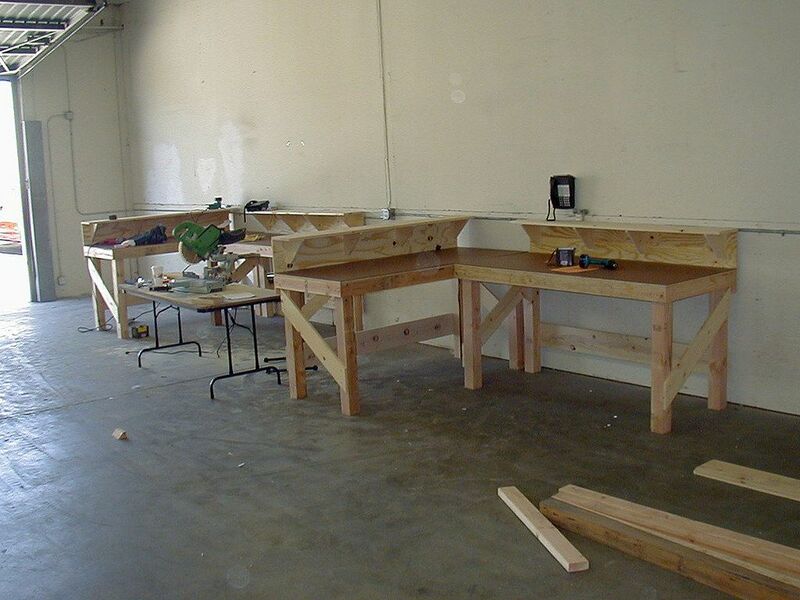 In the market, you may have seen some table saw or miter saws are available. You can’t use a table saw miter gauge for particular purposes. So, it will be better for you to create one on your own and place it in the right place. This can be modified very easily and perfectly. In this article, you will know how you can use a miter saw in your table saw. I will discuss the steps for that are required for creating an adjustable miter saw. You will need some equipment to make and run a miter saw. Here is a list. Take a look before starting. Here I will describe the working procedure/techniques step by step. Follow them. First of all, you have to cut the plywood by 15-5/8 inch wide for the bottom part and for the top it should be 16 inches wide. Then use the circular saw for cutting the wood piece into your desired size. Then you can cut and prepare the legs for holding the table surface. It is also called a bench saw stand. A benchtop miter saw is different from benchtop table saw. Now it’s time to build a frame for the table. There will be a top frame and a bottom frame on the table. In step 1 the measurement was written. You can attach the frame with Kreg jig and pocket hole screws. Two frames should be attached together and there should be a separator. Now, the bottom frame should be connected with the legs. You can use 2 and a half inch of wood screws for attaching the legs with the frame. After attaching the bottom frame with the four legs you are ready for go further. Now it is time to attach the top frame with the legs. In this step, you are going to add the piece of plywood panel to the top. You can use brad nails through the top portion of the plywood. You should use the wheel in the lower part of the tool so that you can move it easily. After placing the wheel you have to attach them with screws. The miter saw can be modified in various ways. You can change the height according to your table saw height. And also can change the width of the frames. You can start anywhere. But starting with the fence making is a good choice indeed. Next step is to set the plywood by the level of the table. With pocket screws, you should attach the plywood frame to the table. One important thing you should always remember that measurement should be correct. The last step of this working procedure is to add MDF board to the plywood top. You can use brad nails to add the two surfaces. In addition, you can make a wood cover for passing the dust and trash. It will remain your workshop nice and clean. You may use a different kind of meter saw table saw combo and for that; you have to make your own miter saw by taking the measurement. The miter saw can easily be modified. As this is very useful for completing different DIY works you need to create one. You should know how to attach miter saw to the table. Miter saw is used for cutting a long piece of wood. If the range of your table cannot cover the wood area then your cutting may go in the wrong direction. The miter saw works like a fence. With the help of a miter saw it is now easy to cut the long piece of wood. To make this accessory, you have to use many machines. The machines can cause an accident. Such as a drill machine can cause you serious injury. So always remain safe. While working keep your mind tension free. All the saws do not come with a miter saw. So you can build it on your own. Q: Can I use it in any table saw? Q: Can I use different sizes of screws to attach the parts? Q: Should I use the wheel on the bottom of the frame? -No, It is not mandatory. The wheels are used to easy riding and sliding. Q: Does it save times? -Yes, obviously it saves a lot of valuable time. A professional woodworker always tries to make different projects. New projects bring new happiness, experiences, and achievements. In the time of work, one must need some machines those are a must for woodworking. With machines, he/she also need various accessories. Miter saw table is one of them. Unlike another accessory for woodworking, this is also much needed for making wood projects. So, build your own miter saw and use it properly. Remember one thing- Safety issues should be given the first priority all the time. So you can read meter saw table plans pdf.